Pioneering art historian Shifra M. Goldman's work is an essential cornerstone in the study of both Chicana/o and contemporary Latin American art. 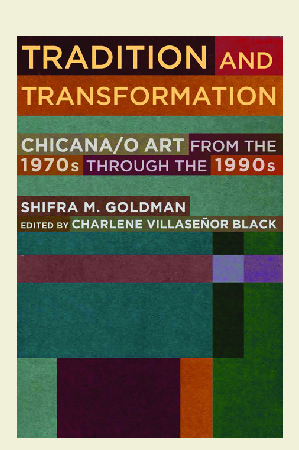 This illustrated collection of essays, edited and introduced by Charlene Villaseñor Black, brings together Goldman’s groundbreaking scholarship on Chicana/o art, but it also represents her archival efforts and political activism, which were aimed at opening up the fields of art history and museum exhibition. In these writings Goldman provides close critical attention to the careers of major artists, discusses specific artworks, and analyzes exhibitions. She also provides a social history of how the Chicano movement influenced and was influenced by artists in the Southwest and Mexico and how different artistic visions clashed and interacted. 17 black and white figures and 16 color plates.